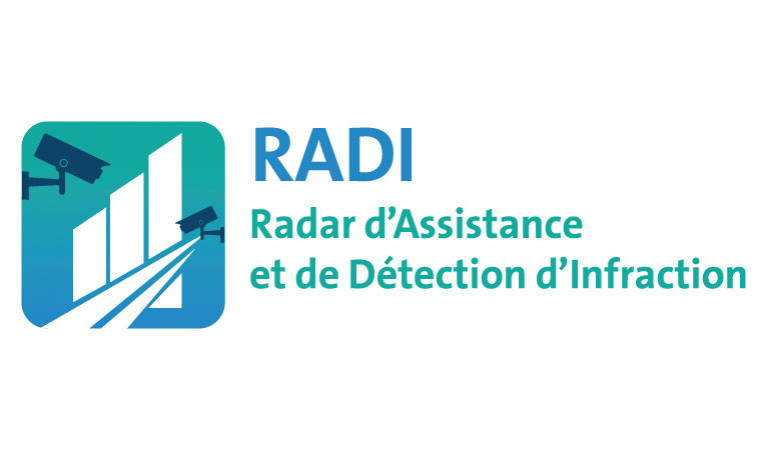 RADI is a system for the detection and monitoring of vehicles that have committed a traffic offense. The system facilitates the recognition and verbalization of drivers who have committed traffic violations by the concerned authorities. The system uses two stereoscopic cameras and a processing unit to identify a vehicle’s brand and license plate and to also estimate the distance of the infringing vehicle from the authorities to alert them of the approach of the vehicle via a screen which displays in augmented reality the vehicle to intercept. The system can also be used for the collection of traffic data (average speed of vehicles by road, classification of vehicles, detection of traffic light and stop violations, offenses related to prohibition of turning to the right or to the left).